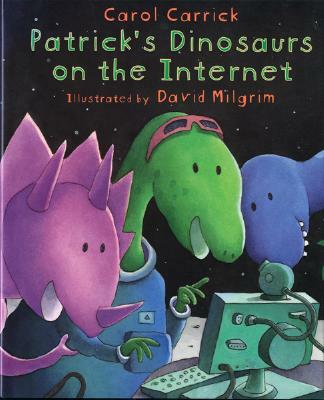 Patrick loves dinosaurs, and he loves looking at them on the Internet. But he has no idea that dinosaurs are looking back! One night, Flato, a friendly, freckle-faced creature, invites Patrick to travel in a fantastic spaceship to visit his dinosaur planet. That's only the first of Patrick's amazing adventures, which include an intergalactic soccer game and a close call with a hungry Tyrannosaurus rex. Both longtime fans and first-time readers will adore this delightful new story about Patrick, featuring the work of a distinctive new illustrator who brings his own humorous, contemporary touch to the book. David Milgrim has written and illustrated several books for young readers, including, for Clarion, Thank You, Thanksgiving, and Time to Get Up, Time to Go. He lives with his family in Northampton, Massachusetts.